Thank you for your interest in learning more about NTA, Inc. and how we can help you reach your public relations goals. Please contact Nancy Tringali Piho using the form found here. We look forward to hearing from you. 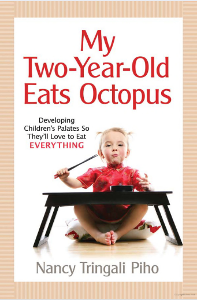 Nancy Tringali Piho is the author of the popular book "My Two-Year-Old Eats Octopus: Raising Children Who Love to Eat Everything" (Bull Publishing, 2009.) To book Nancy as a speaker or to facilitate a parent workshop on young children and eating, contact NTA, Inc.
NTA, Inc. Is Proud of Our Client Work!